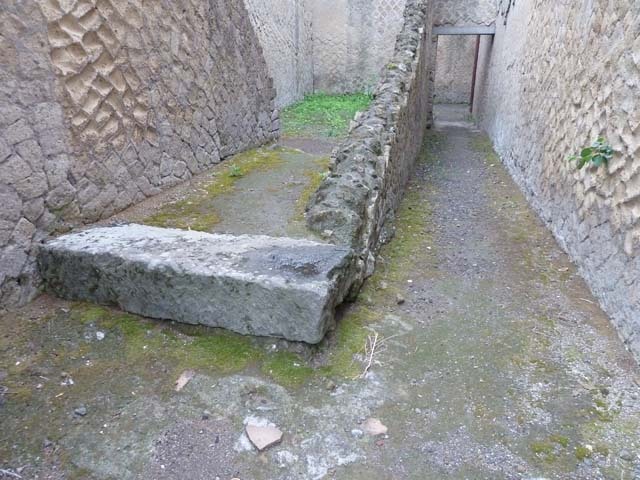 Maiuri wrote that this was a doorway and staircase leading to the upper floors of a large building divided into apartments, a real main entrance to the modern type of house such as to be found at Ostia. Ins. Orientalis II.7, Herculaneum. July 2015. Looking north-east towards entrance doorways. Ins. Orientalis II.7, Herculaneum. December 2008. Looking north-east towards entrance doorway. Ins. Orientalis II.7, Herculaneum. September 2015. Looking east through entrance doorway. Ins. 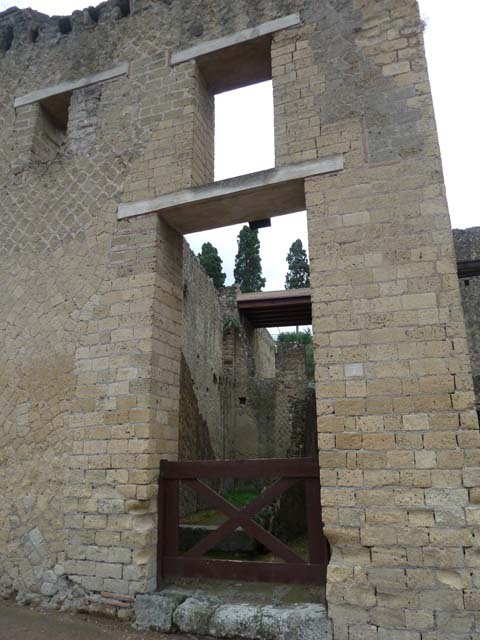 Orientalis II.7, Herculaneum. September 2015. Entrance doorway and façade with two upper floors. Ins. Or. 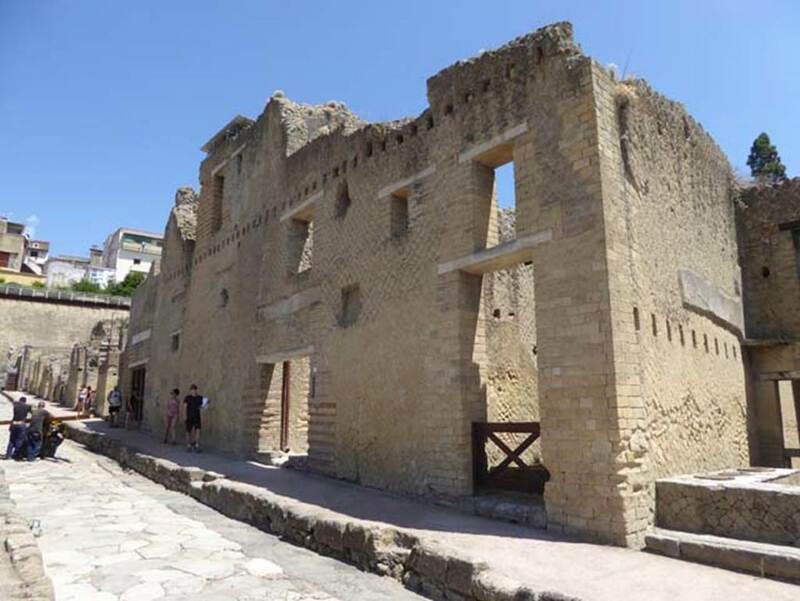 II.7, Herculaneum. February 2007. Looking east to entrance doorway. Ins. Orientalis II.7, Herculaneum. September 2015. Looking east from entrance doorway. Two doorways into rooms on the first floor can be seen in the centre of the photo. The “modern addition” would be the position of the floor of the rooms on the second floor. Ins Or. 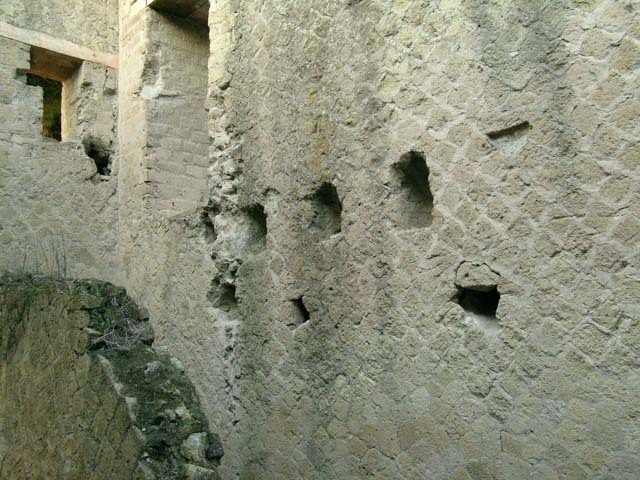 II, 7, Herculaneum, October 2004. Looking east. Photo courtesy of Nicolas Monteix. Ins. Or. 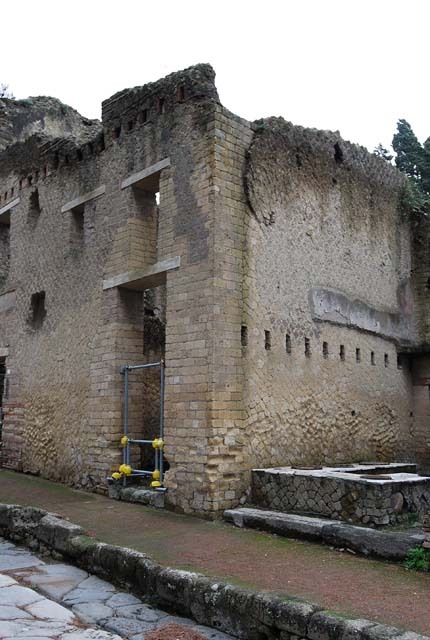 II.7, Herculaneum. December 2004. 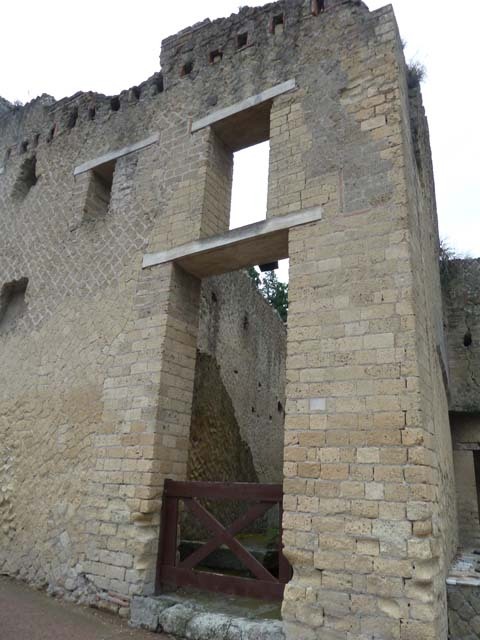 Looking towards upper east wall with two doorways. Photo courtesy of Nicolas Monteix. Ins. Or. 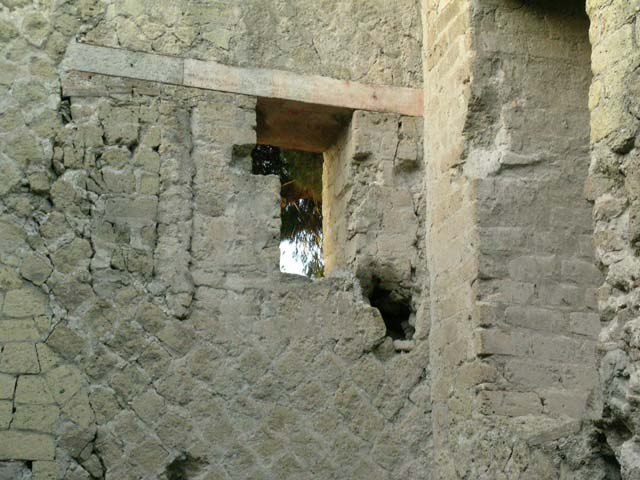 II.7, Herculaneum. December 2004. 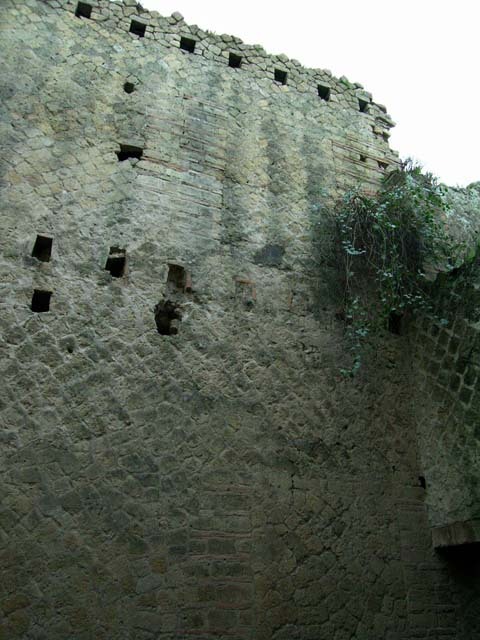 Upper east wall and south-east corner. Photo courtesy of Nicolas Monteix. Ins. Or. 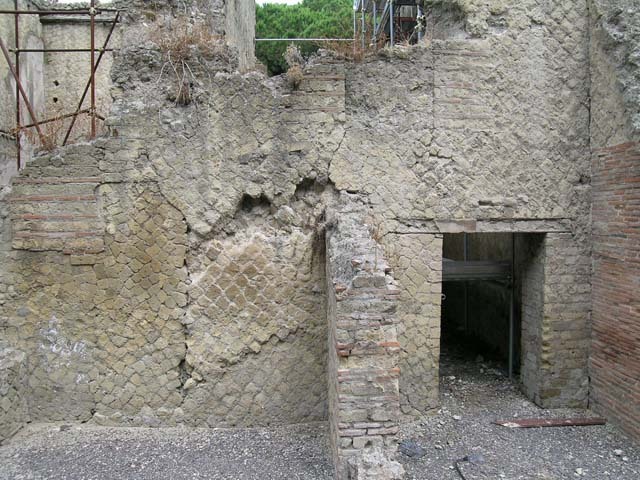 II.7, Herculaneum. December 2004. Upper north-east corner. Photo courtesy of Nicolas Monteix. Ins. Or. II.7/8, Herculaneum. December 2004. Upper north wall and west end. Photo courtesy of Nicolas Monteix. Ins. Or. II.7/8, Herculaneum. December 2004. Upper north-west corner, with doorway leading to Ins.Or. II.8. Ins. Or. 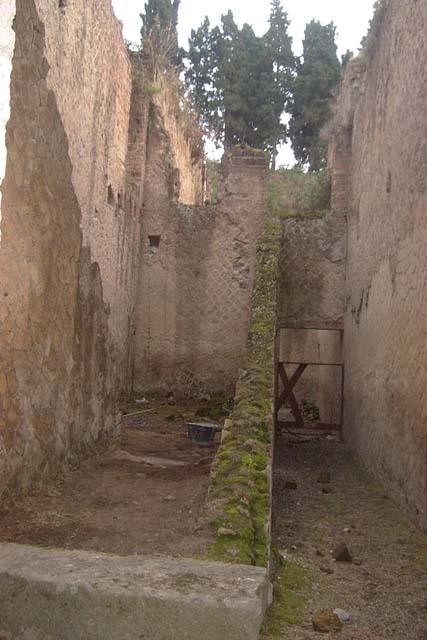 II.7, Herculaneum. December 2004. Upper west wall. Photo courtesy of Nicolas Monteix. Ins. Orientalis II.7, Herculaneum. September 2015. 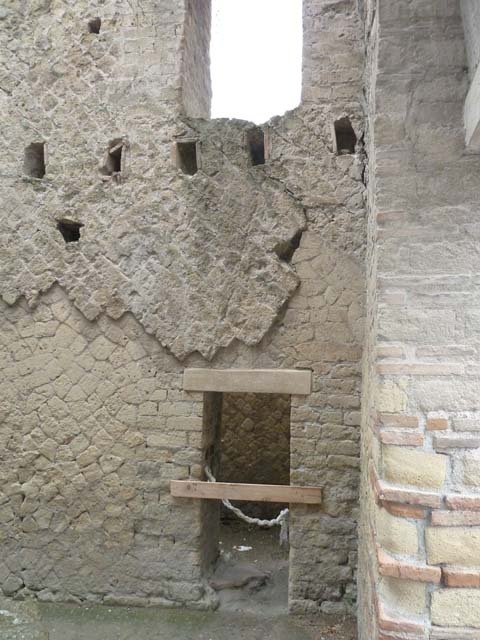 North wall of staircase. Looking east. 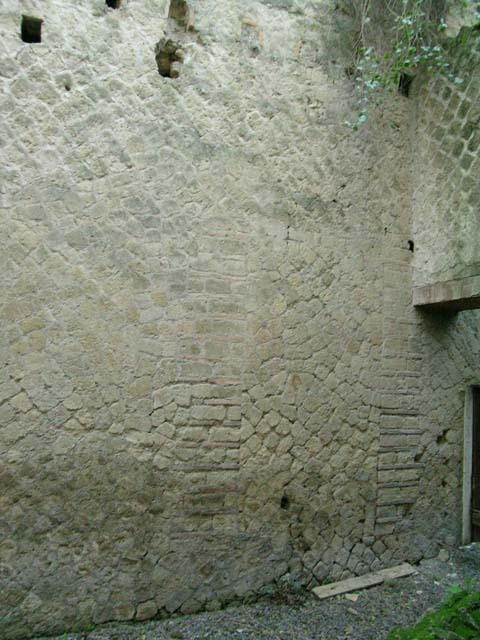 Behind this sloping darker wall is the latrine on the south side of the mill-room of Ins.Or.II.8. Ins. Orientalis II.7, Herculaneum. December 2004. Looking west along area that would have been under the stairs to the upper floor, on left side of photo. Looking west along the latrine/room on the south side of the mill-room of Ins. Or. II.8, on right side of photo. Ins. Orientalis II.7, Herculaneum. December 2004. Looking west towards details of areas of two thresholds. Ins. Or. II.7/8, Herculaneum. December 2004. 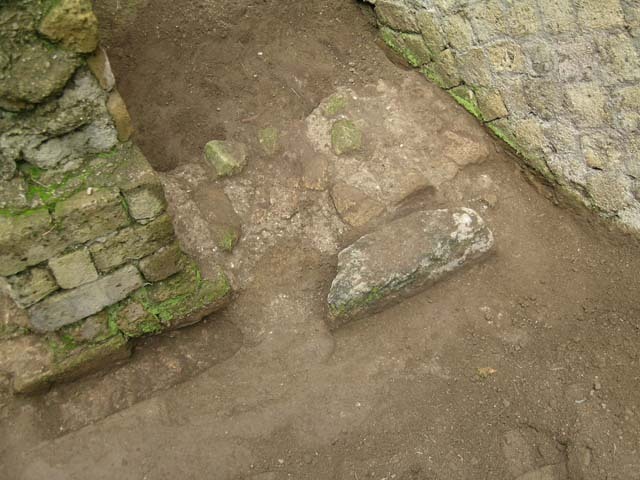 Looking west towards threshold of latrine/room on the south side of the mill-room of Ins. Or. II.8. 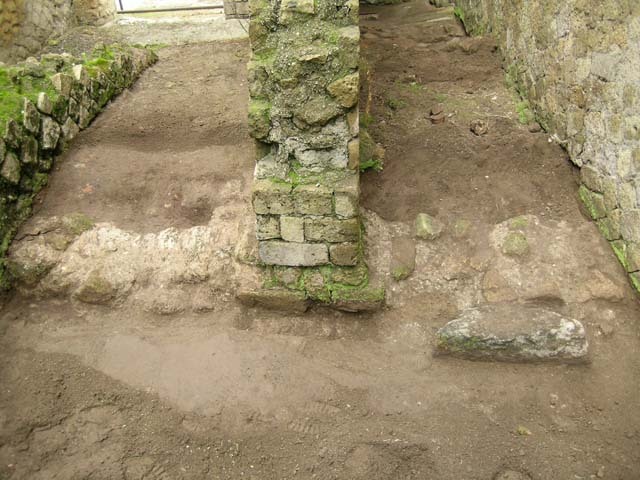 Looking west, detail of threshold of latrine/room on the south side of the mill-room of Ins. Or. II.8. Ins. 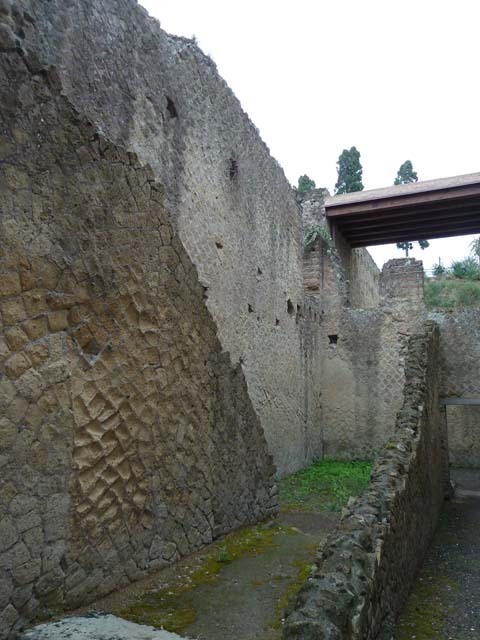 Orientalis II.7, Herculaneum. September 2015. Looking east along corridor to rear rooms. Ins. Or. 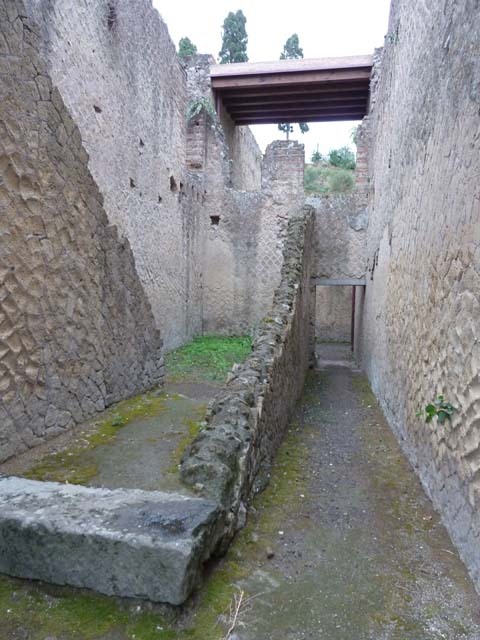 II.7, Herculaneum. December 2004. 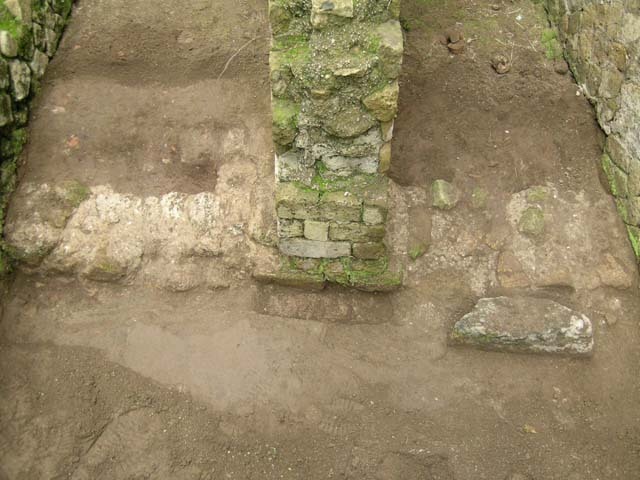 South wall of rear room through doorway. Ins. Or. 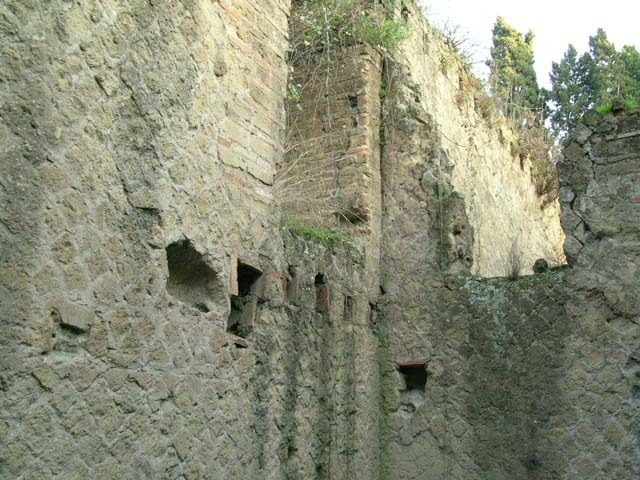 II.7, Herculaneum. December 2004. 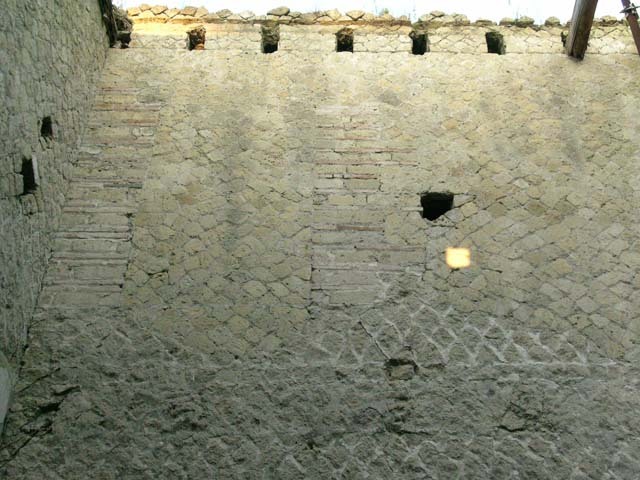 Upper south wall of rear room through doorway. Ins. Or. 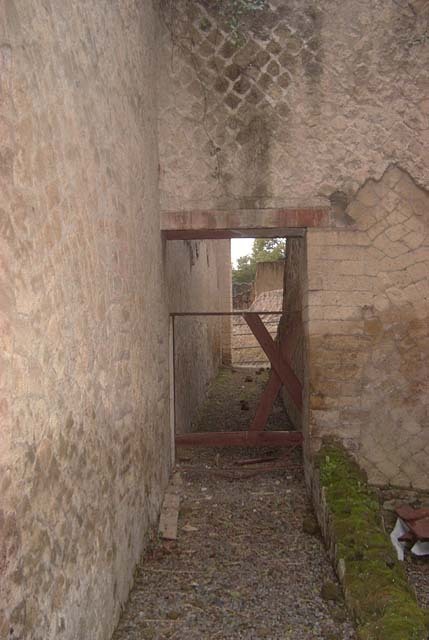 II.7, Herculaneum. May 2005. North wall of rear room through doorway. Ins. Or. 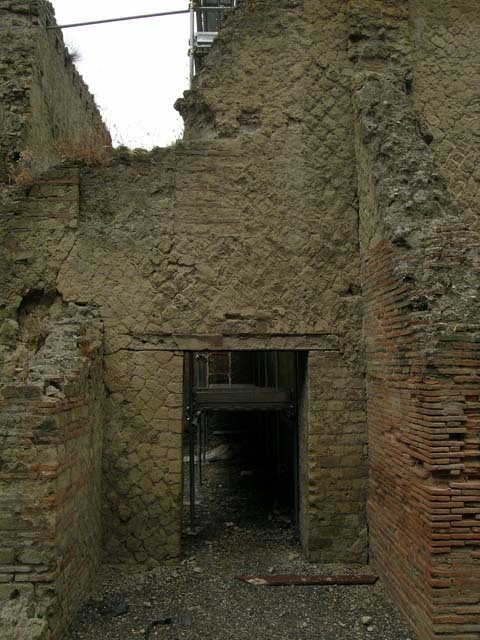 II.7, Herculaneum. June 2006. 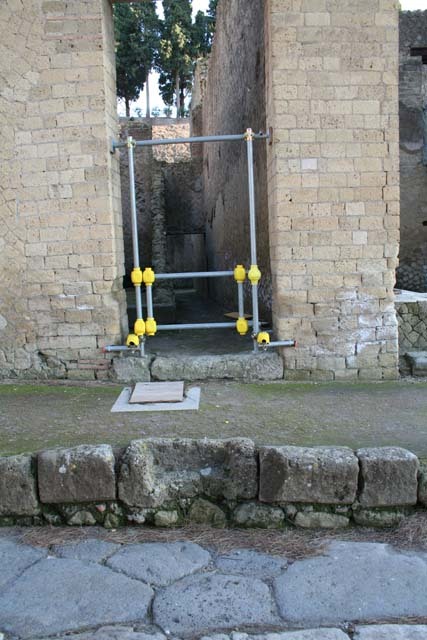 Looking west towards doorway in west wall of a room, reached by Ins.Or.II.7, but which may be part of the rooms of the Palaestra at Ins.Or.II.4 (room C). Ins. Or. 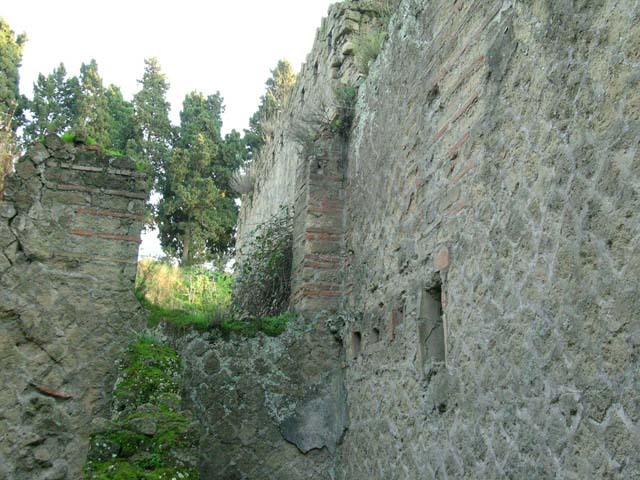 II.4, Herculaneum. June 2006. Looking west towards doorway to room leading to Ins.Or.II.7, on right. On the left is a room at the north end of the terrace of the west portico. Photo courtesy of Nicolas Monteix. 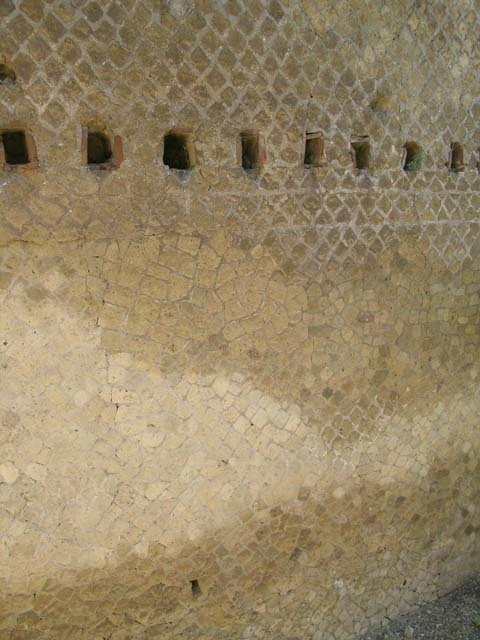 Detail above doorway in west wall of a room, reached by Ins.Or.II.7, but which may be part of the rooms of the Palaestra at Ins.Or.II.4 (room C). Ins. Or. 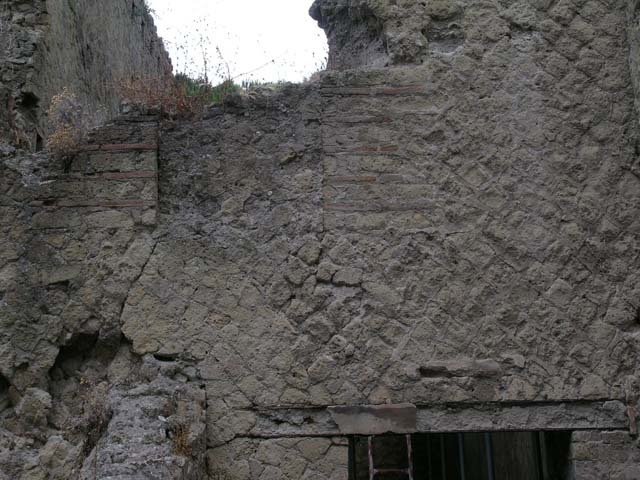 II.7, Herculaneum. December 2004. Looking west through doorway in west wall of a room, reached by Ins.Or.II.7, but which may be part of the rooms of the Palaestra at Ins.Or.II.4 (room C). Ins. Or. 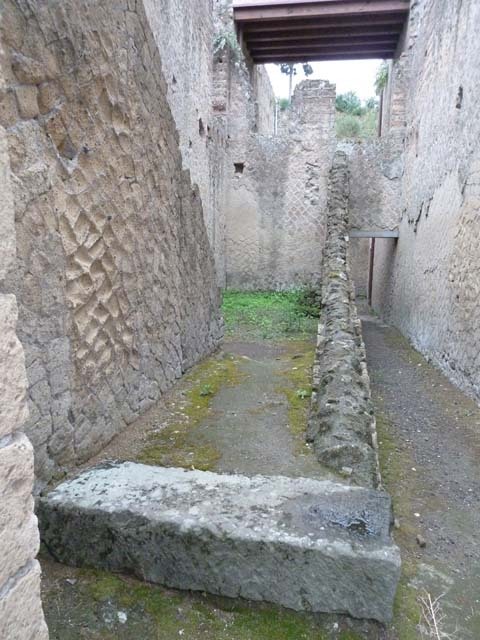 II.7, Herculaneum. December 2004. 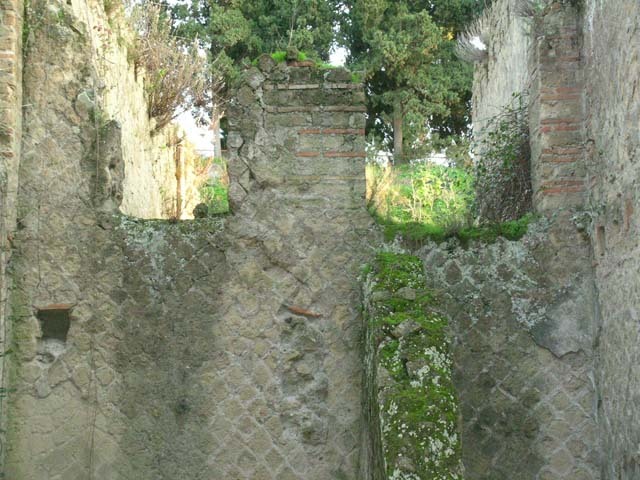 North wall of a room, which may be part of Ins.Or,II.4. Ins. Or. 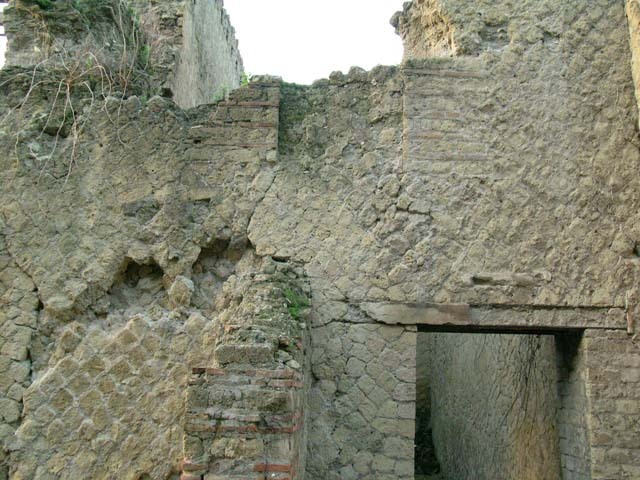 II.7, Herculaneum. December 2004. 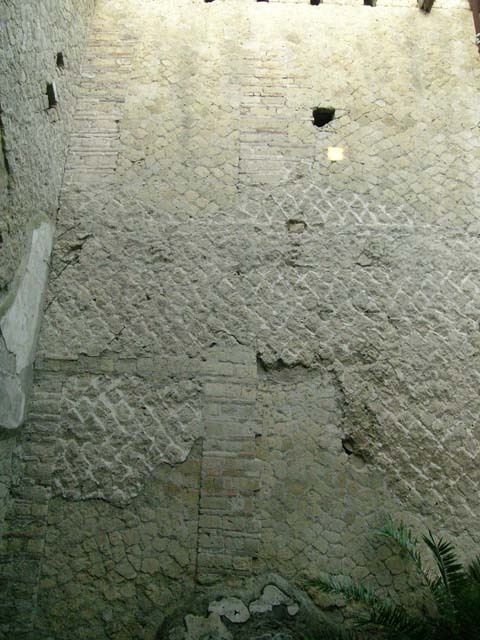 Upper north wall of a room, which may be part of Ins.Or,II.4. Ins. Or. 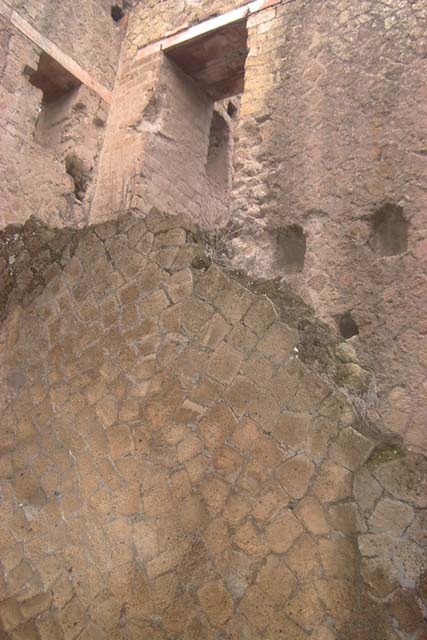 II.7, Herculaneum. October 2004. 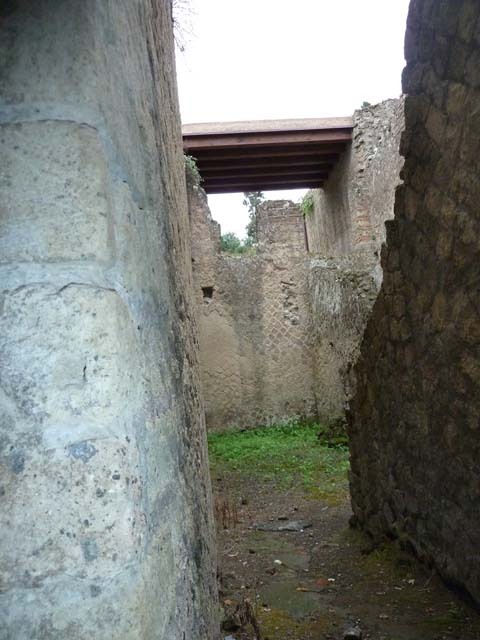 Looking west towards long and narrow corridor leading to doorway to Cardo V.
Ins. Orientalis II.7, Herculaneum. September 2015. 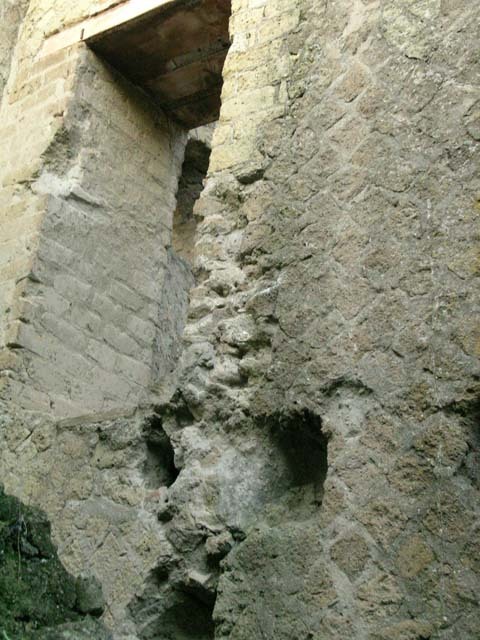 Site of staircase to upper floors. Ins. Orientalis II.8, Herculaneum. September 2015. 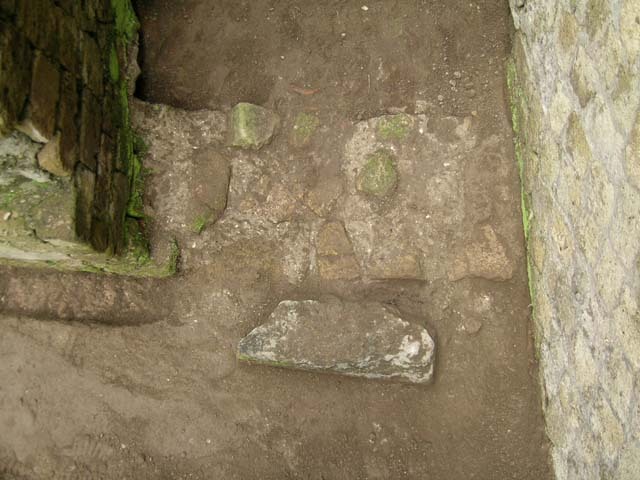 Small doorway in south wall leading to the latrine on the north side of the stairs at II.7. Above this is a doorway which would have been situated on the mezzanine level. Looking north towards doorway situated on mezzanine level and leading into rooms above Ins.Or.II.8. Looking east from doorway in II.8, into a room on the north side of II.7.